Calculating profit margin is one of the most critical tools you’ll need to understand as a business owner. Unfortunately, most independent marketers don’t have a clue of what it is, confuse it with markup, and even if they know it, can’t calculate it quickly when needed. So I’m going to solve all that for you today! #1 Why’s margin so important? Well, profit margin (often referred to simply as “margin”) is a number that can almost instantly gauge the potential of success for your business. Low-margin businesses RARELY succeed in the long term unless they are extremely systemized. It is very, very difficult to run a business in the long-haul when it has low margins becuase the slightest things that can go wrong will end up gobbling profit like an animal. One of the most useful things you can use margin for is for pricing. As marketers, we’re often selling customized solutions rather than commodities, so our prices aren’t always set like a retail environment would be. 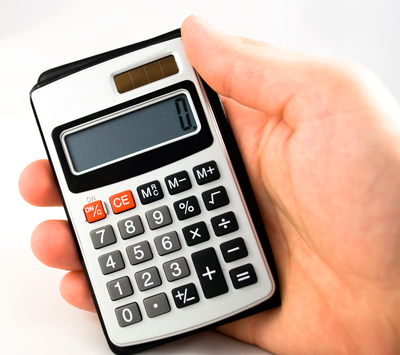 Understanding margin means you can estimate what to charge quickly and accurately. It’s a tool that helps you run your business as a real business that’s designed for success. #2 What exactly is margin and how’s it different from markup? Margin is the percentage of a selling price that’s profit. For example, if you sell something for $120 and it costs you $60, you made a 50% margin (because 50% of $120 is $60). If something costs you $50 and you add a 50% markup, it means your sales price is $75. You can do it on your phone’s calculator by keying 50 + 50% and it will equal 75. Your cost was $50 and your selling price was $75 (a $25 profit) …. which means your margin (the profit percentage) is only 33%, not 50%. To probably 80% or more marketers, that statement above makes complete sense, but it’s way off base because marking everything up 50% only gives you a 33.3% profit margin, not 50%. If you had $100k in costs and marked up everything 50%, you’d only profit $50k …. HALF of what you thought you would! How Do You Calculate Margin Quickly? Convert your desired profit margin to a decimal and determine the number that would make it equal “one”. So say your desired margin is 30%, you’d convert it to a decimal (.3) and then convert it to the number that would make it a whole number (.7). That’s the best way I can explain it since I’m not a math geek.For example if want to make sure you’re making 35% margin, you’d first turn it to .35 then flip it to .65 since that number would make it a whole number of one (100%). Take your cost, then divide it by the number you got in step 1.So if you needed 30% profit margin and your cost is $$350, you would punch in your calculator: 350 divided by .7 and it will equal $500. Exactly 30% margin! While this formula may seem a little bit confusing at first, it’s REALLY simple, especially when you know what margin you always have to get. If you know your business needs to make 40% profit, then just remember that you always just have to divide any cost by .6 in order to get the selling price. It’s that simple!